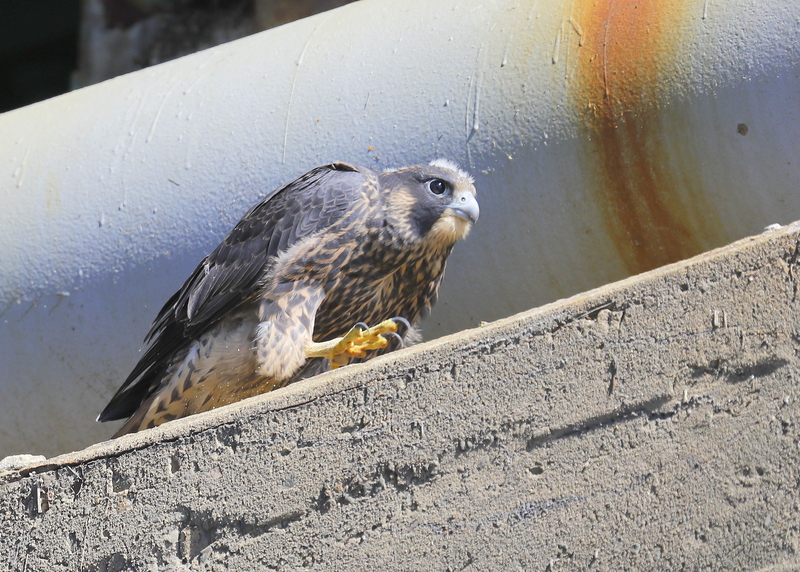 Made a visit to check on the peregrine falcon chicks under the bridge in Haverhill. Looks like one of the chicks has fledged, with three still to fledge. The smallest remains on the nest ledge in the dark. The other larger two chicks were seen at the east end of the bridge on a large catching some sun and loafing around. This chick walked back and forth a few times and then settled again, and laid down in the sun!